Hey guys, sorry it’s been so long since I last posted. I’m now working full time in a call centre and struggle to find the time to blog but hopefully that will improve as I start to get used to the hours and I’ll start trying to make more effort with the blog as I do miss posting reviews and updating you guys on what I’m doing/reading. In a few of my previous posts I’ve mentioned briefly about my battle with depression and the struggles I have with this illness. Depression is just one of the many mental health illnesses that people suffer with and over the last few weeks I’ve been wanting to read more books with people suffering with these issues so I guess this post is just a way of looking for anything you guys could recommend to me. I’m looking for both fiction and non-fiction books and hopefully I’ll be able to review some of these books too. I’m currently reading ‘Mad Girl’ by Bryony Gordon and have just bought ‘Reasons To Stay Alive’ by Matt Haig, ‘A Mindfulness Guide For The Frazzled’ by Ruby Wax and ‘The Hospital’ by Barbara O’Hare so if you have any books similar to these please do leave a comment and let me know what they are and I’ll have a look in to them! I also want to say that if any of you are ever feeling down or anxious about anything and need to talk to someone then I’m here to listen to you all. You can reach out to me on twitter (@kirsty_reads) and I’ll listen to whatever you have to say and try and help you in anyway I can. Review: This book captures female friendships absolutely perfectly. You have the confident, outgoing one, the sensible one and finally the quiet, shy one. Now I know not all friendships have someone that fits these descriptions but for me and my friends, we did (I’m the quiet, shy one unfortunately). I honestly can’t describe how much I loved this book. With what I had heard about it, I knew I was going to enjoy it but I just didn’t realise how much I actually would fall in love with the story and characters. Sara Barnard did such a fantastic job of creating such a realistic story about three teenage girls who struggle with new relationships and the strain it can have on lifelong friendships. One of the reasons I loved this book so much is because there was no cliché romances that you’d normally expect in a YA novel and it made me happy because I’m starting to get tired of reading the same kind of thing over and over again. Caddy was such a relatable character for me and I seen so much of myself in her. Although she was unsure about Suzanne at first she soon became the one Suzanne would turn to when she needed someone and when things were getting tough which is similar to something that’s happened to me in the past. At first I was unsure about Suzanne because like Caddy, I didn’t want the relationship between Rosie and Caddy to change but like any friendship you have, it does change as you grow up and meet new people plus the more we got to know Suzanne the more I got to love her and sometimes I could see part of myself in her too. 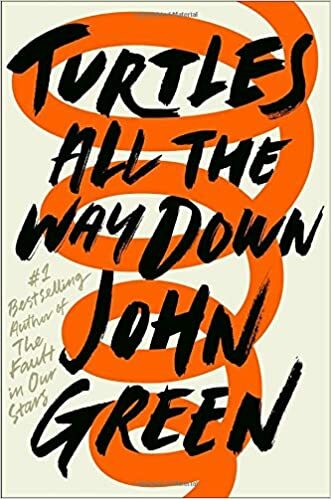 I loved how realistic this book was, especially when dealing with Mental Health. Suzanne comes from a troubled background and I felt that Miss Barnard did an amazing job of showing how a mental health illness can affect not only the person suffering but the people around them who love and care for them which is not often shown in a lot of YA books that do focus on Mental Health. As someone who suffers from mental health issues myself, it made me realise just what I put my friends and family through when I was at my lowest point and I know now that any time I feel like that again, I can think of this book and know that there is always a light at the end of the tunnel and I’ll always have people around me who love me. 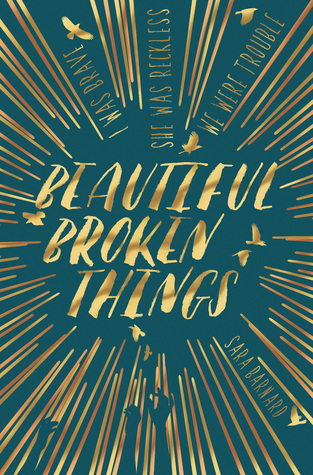 ‘Beautiful Broken Things’ is such a heartbreaking but stunning story about the complications and struggles all friendships go through. It will stay in my heart for a long time and I’m so glad I had the chance to read it. If you get the chance then PLEASE get this book whether it be from a library or you buy it because I can promise you won’t regret it. After buying this book, I came home to find a copy waiting for me that I had surprisingly won so thank you to Maximum Pop for sending me a copy to review! Review: I’m so happy I finally got round to reading this book! It was much better than I thought it was going to be. 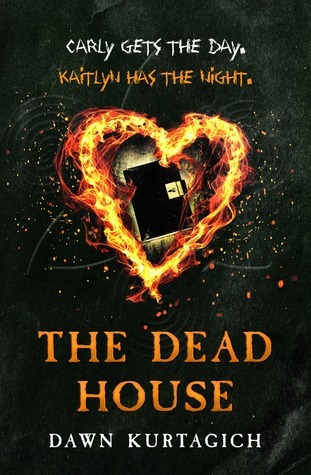 ‘The Dead House’ is different from every other book I’ve read as it is told through, interviews, diary entries and camera footage. At the start I was slightly confused by everything but the more you get used to the format of the book, the more it all begins to make sense. All evidence in the book was used to work out who was responsible for the fire in Elmbridge High School, 20 years ago that claimed the lives of 3 students and injured many others and most of it is taken from Kaitlyn Johnson’s diary. One of the unique things about this book is it is about two girls, Carly and Kaitlyn who share the same body. I was slightly unsure about how the story would go with the double character thing and would it ruin the book but Kurtagich went about it brilliantly. You could see just how much went into creating the characters in the book and each one had so much depth and helped to create something more real. I really did like the fact that we got to know each and every character in the book without it being too much. This book keeps you guessing right until the very end who is responsible for everything that is happening which was exciting because it made me want to continue reading on. I think the biggest thing I loved about this book (in a weird way) was the fact you never know who to believe. So much is raised and you’re left with many questions about who done it? Is she possessed? Is it all magic?? WHO KNOWS??? You’re constantly questioning things making you become a detective for a while. All in this book was creepy, frightening but also heartbreaking as you see Kaitlyn fighting with her demons and with how the story is told, it’s almost like you’re experiencing the exact same feelings she does. If you like creepy, psychological thrillers then I highly recommend this book to you. I received an e-copy of this book from Netgalley in exchange of a review.